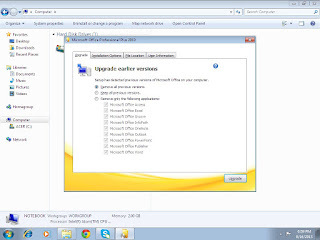 Upgrading Microsoft Office 2003 and 2007 to the new versions of the Microsoft Office is usually in needs if we thought of the most advance application we need in our documents. One of the most advance application that demand to the user of the Microsoft Office is the PowerPoint 2010, which the movies or videos can be made as background to the slides or templates during presentation package. Compare to the old versions that only the pictures, patterns, and colors that can be made as background to the presentation slides. 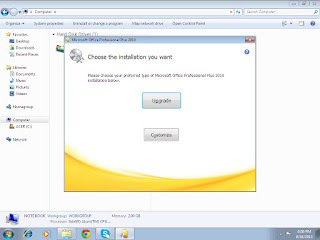 But the bad news is that, if you are using the old versions of the Microsoft Windows XP Service Pack 1 or 2.That has a filling system of FAT 32 you need to install the higher rather than these old versions. You need to install the Microsoft Windows XP service pack 3 that have a filling system of NTFS or higher than this versions. Such as the Microsoft Windows Vista, 7, or the newly complete language, the Windows 8. 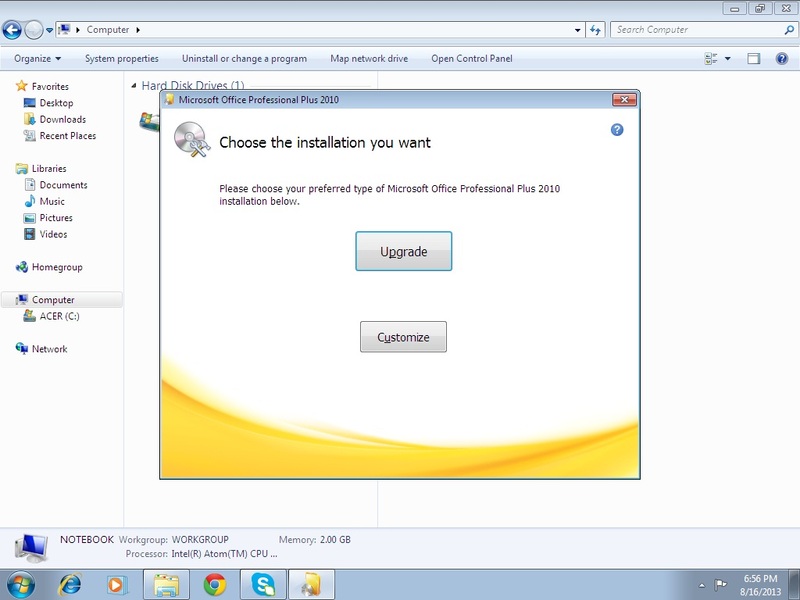 You can install successfully the Microsoft Office 2010 or the 2013. Power up your computer, and if you’re now in the desktop open the DVD ROM and put the DVD installer in DVD ROM tray. Once the installer open find the execution setup called Setup then double click it. Click Yes in the pop up window to agree the user account control. When installation agreement displayed in the screen, check box the “I accept the terms of this agreement”. Now select for the Upgrade or customize, just click in it. Now just follow the instruction of the screen until it will finish and replace the old version of your Microsoft Office. 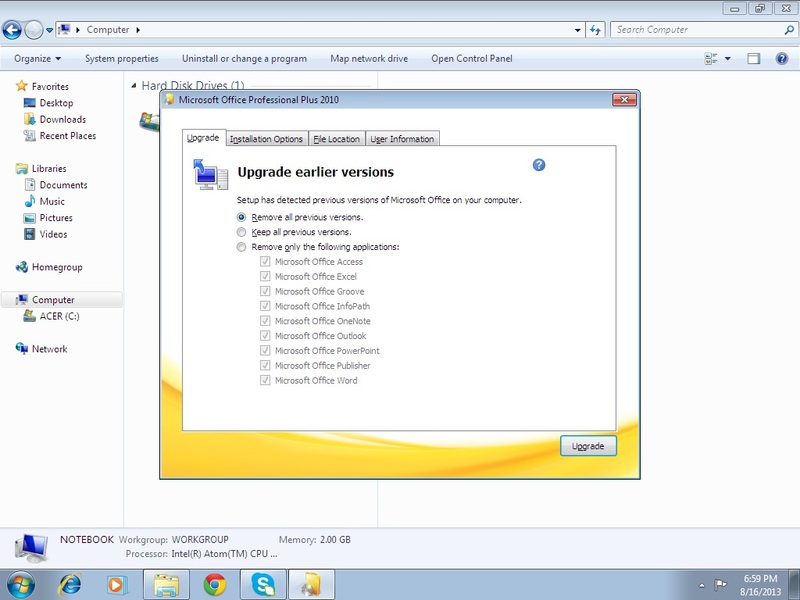 There are options you need to select so that you can upgrade the lower versions of MS Office, just click one of the options below. 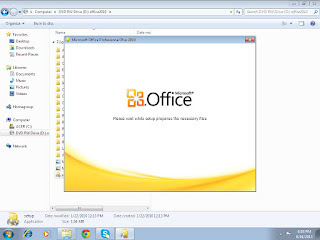 Remove the following applications: ex: MS-Office Access, MS-Office Outlook, etc., just check box the programs that you don’t need in your installation. Just wait until the progressive indicator become 100% full, if then your upgrading of Microsoft Office 2010 is successfully finish.